Fire-Dex realizes the chances of firefighters being afflicted by cancer are three times higher than most Americans, which is why the Fire-Dex H41 Interceptor Hood is more than capable of providing the maximum levels of protection needed when on scene. 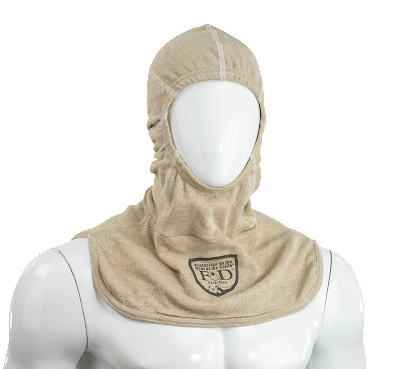 Its design is comprised of a two-layer PBI Knit Hood with a DuPont Particulate Barrier Hood. A layer of cutting-edge DuPont Nomex® Nano-Flex material on the hood’s inside acts as a filter to reduce firefighters’ exposure to carcinogens and other contaminants found at the fireground, thereby providing the highest levels of particle-barrier filtration and thermal and flashover protection. In fact, this revolutionary material blocks fine particulates just as well as a watertight covering can. Comprised of non-woven web technology and made of submicron, continuous fibers, the Nano-Flex material is extremely lightweight (.5 ounces) and is completely breathable. Additionally, you can be assured of a comfortable fit that is second-to-none thanks to the hood’s flat-lock hood seams coupled with TrueFit™ elastic. The Fire-Dex H41 Interceptor Hood meets all the hood requirements of NFPA 1971, 2013 Edition. For more information and to order yours, be sure to visit TheFireStore.com.